Vice Chancellor, DUVASU, Mathura, U.P. In recognition of his scholastic achievements Dr. Singh has been bestowed upon with several awards and honours. He is Fellow of National Academy of Veterinary Sciences (India), Indian Association of Veterinary Anatomist and Society for Immunology and Immunopathology. Besides Life Achievement Award and Veterinary Anatomist of the Year (2010) Award of IAVA several Best Paper and Best Poster Awards are also to his credit. He is member of India Literacy Board, Uttarakhand Livestock Development Board, Uttarakhand Pashu Kalyan Board, IMC, NRCE (Hisar) & PD FMD (Mukteshwar), Academic Council, IVRI and life member of Dr. C.M. Singh Trust and various other professional societies. He also holds the post of Vice-President of Indian Association of Veterinary Anatomists and Society for Immunology and Immunopathology. 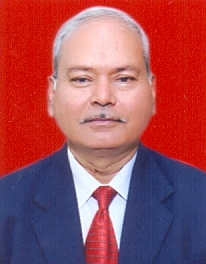 Dr. Singh has been instrumental in creation of Veterinary Alumni Society of Pantnagar and served the Society as its founder General Secretary.